A single act of both compassion and arrogance leads to a battle unlike any other when Rise of the Planet of the Apes makes its worldwide debut on Blu-ray, DVD and digital download on December 13th in North America and starting December 7th Internationally. From the Oscar-winning(R) visual effects team that brought to life the worlds of Avatar and Lord of the Rings comes revolutionary new ground - a CGI ape that delivers a dramatic performance of unprecedented emotion and intelligence, and epic battles on which rest the upended destinies of man and primate. James Franco (127 Hours) stars as Will Rodman, a neuroscientist living in San Francisco trying to develop a cure for Alzheimer's disease by testing on chimpanzees, giving them a human level of intelligence. After a test subject's baby, Caesar, is orphaned, Will decides to raise him at home on his own with his Alzheimer-stricken father (John Lithgow; "Dexter"). What begins simply as a continuation of his experiment quickly turns into a problem for Will, as Caesar is taken away from him and forced to live in a primate facility. 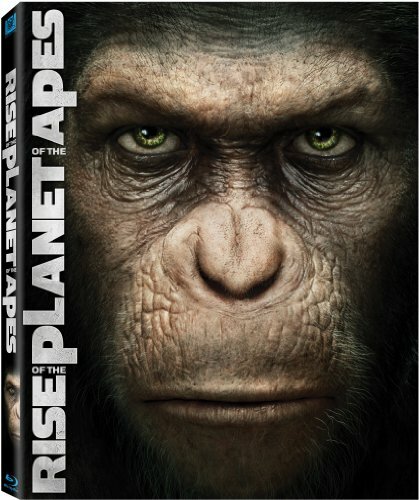 As Caesar's intelligence continues to grow, he begins to stake his claim as the leader of his new primate counterparts, which will ultimately lead to the Rise of the Planet of the Apes .